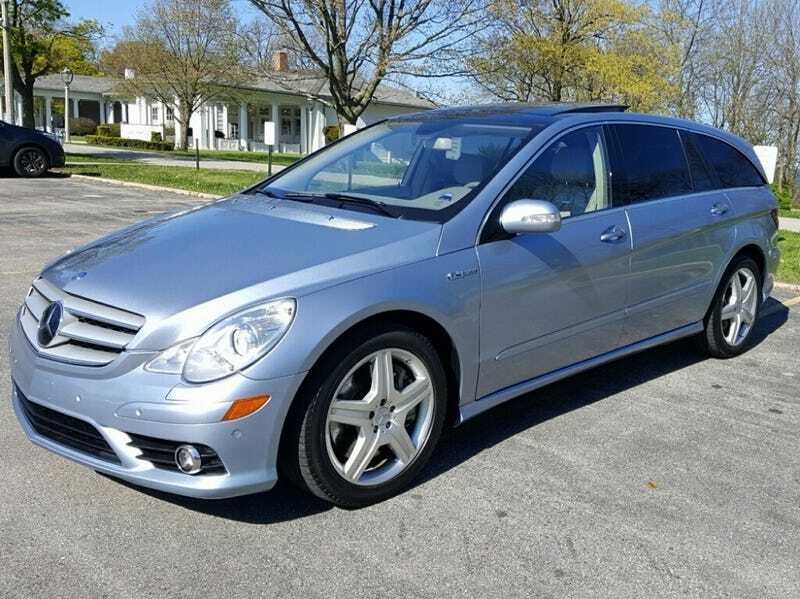 If you have the need for three rows and getting places quick as heck, then today’s Nice Price or Crack Pipe Benz R63 may be the car for you. That is if it doesn’t also require three rows of cash to buy. When Chrysler launched the do-or-die K-cars in ‘80s, then CEO Lee Iacocca took on the roll of the models’ biggest cheerleader by starring in an ad campaign that included the tagline “if you can find a better car, buy it.” I’d like to appropriate that slogan and apply it to yesterday’s Porsche Speedster replica. Fully 58-percent of you voted that car a Crack Pipe loss at its almost eighteen-grand asking. I’d aver however, that should you map the market you will not find many in such nice of shape for cheaper. Those of you who poo-poo’d the very idea of owning and driving a poseur should understand that, when presented as such and not attempted to be passed off as the real deal, most people have no issue with replica Speedsters, Cobras (Cobri?) or Lotus Super Sevens. I’m not trying to drop a deuce on your collective opinion, but, if you can find a better Speedster—at a lower price—buy it! You know something that people aren’t buy all that much any more? That’s right, Minivans. That’s a damn shame since no vehicle is perhaps more versatile nor as comfortable for long group-trips as is the venerable triple row bubble box. Still, the Minivan’s heyday seems to have passed, and today, while several excellent models do remain on the market, their sales pale in comparison to their SUV and Crossover usurpers. But let’s say you’re going to take the plunge, and buy an MPV as they’re called over in Yurrup. Maybe you’re thinking about joining that Dugger religion and need the family space. Or, perhaps you fancy yourself the leader of a posse a’la Vince in the once great, then bad, then just okay, then really, really bad HBO show Entourage. What exactly would you buy? Well, you might be tempted by this 2007 Mercedes Benz R63 AMG. Yes, it rocks three rows of seats (six in total) and yes, it looks like a bubble. The thing of it is, it’s got rear-biased all-wheel drive and sports a freaking 507-bhp 6.2-litre V8 engine, both factors putting the R63 in some pretty rarified air when it comes to minivan or MPV specs. The styling of the R-class borrowed liberally from Mercedes’ slinky little black dress of a car, the first gen CLS series. This one is perhaps not best served by its Alpine Rain paint and cream interior, but at least everything looks tidy, and thankfully the headlights haven’t fogged over as they tend to do. The only real boogers evident in the pics are the lug nuts which have seen better, and less corroded days. Other than that, it seems clean as a bean. Mileage is a reasonable 125,000, or about the normally expected amount for a car of this age. This isn’t a normal car however, and so it’s good to read in the seller’s description that it’s been “expert maintained” and “used for highway touring and family trips.” That seller is apparently the second owner, and vows that everything on the car works as new. The minivan’s day may have come and gone, but not everyone’s willing to give up the good fight. If you’re going into battle you want the best equipment you can get, and this big, bad Benz is pretty much the ultimate minivan, even if it lacks sliders on the sides and melted crayons in the carpet. What might you be willing to pay for such a beast? The asking price here is $29,000, and that seems to include a factory roof bin for even more geeky family fun. What do you say, does this uber-rare Benz seem to warrant that kind of cash? Or, does this R63 come with too maxi a price for its minivan aspirations? AutoTrader out of Milwaukee, WI, or go here if the ad disappears.